Global & Regional Studies along with the History Department and other sponsoring departments, presents various events such as lectures and movies. Here are some highlights of past events, that highlight Africa. For more information, please check the Upcoming Events calendar on this page. 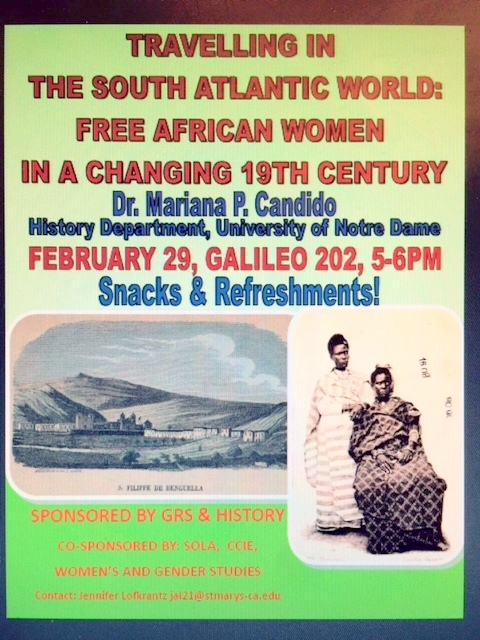 "Travelling in The South Atlantic World: Free African Women In a Changing 19th Century"